France’s Mbappe hurts shoulder in Uruguay friendly…. 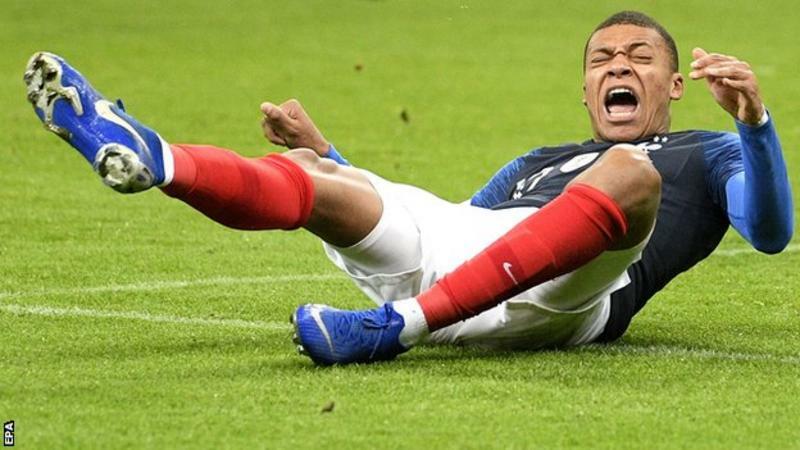 Kylian Mbappe injured a shoulder as world champions France beat Uruguay in a friendly in Paris. Paris St-Germain forward Mbappe was unable to continue after landing awkwardly after a challenge from Uruguay goalkeeper Martin Campana. Earlier in the first half, Mbappe had missed a clear-cut chance, clipping wide when through on goal. ← Brazil’s Neymar injured in Cameroon friendly….